Varna University of Management is ranked first worldwide according International Ranking for student mobility among French, British and German universities. 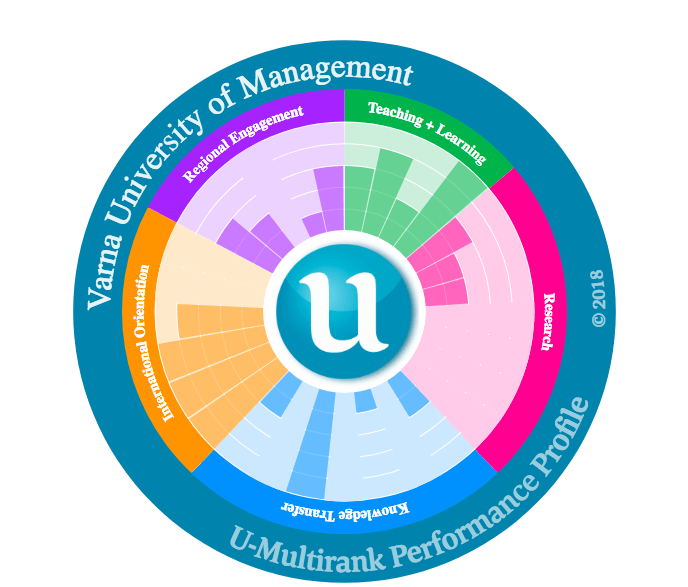 The annual rating of U-Multirank is one of the most prestigious comparisons of training quality at nearly 1,600 universities around the world. The rating started in 2014 and funded by the European Commission compares universities with dozens of different indicators. The ranking was made of the top 25 universities in the world and nine key indicators (https://www.umultirank.org/best-university-for-me/top-performing-universities/2018/). Harvard is on the first place by the researcher indicator and another American university (Rockefeller) is the world’s first patent holder. By one of the indicators (international student mobility), the first place is occupied by Varna University of Management. (https://www.umultirank.org/best-university-for-me / top-performing-universities / 2018 / student mobility /). According to the creators of the rating, for Student Mobility, the greatest burden indicates the opportunities for training students abroad – mobility (exchange), the number of foreign students from the total number of students in the institution. VUM trains students from over 50 nationalities and has more than 150 universities in Europe, Asia, Africa, North America and South America. Among them are prestigious universities in Japan, China, Korea, Shanghai, USA, Brazil, Mexico. VUM students can choose to graduate with a Bulgarian and a second Bachelor’s or Master’s degree from leading institutions in the UK, Switzerland, the Netherlands. On the other hand, a compulsory part of the VUM training is internships. With the help of the university’s career center, students travel to countries such as Portugal, Spain, Italy, Germany, France, England, Poland, USA and others. The U-Multirank 2018 rating includes 12 Bulgarian universities and Varna University of Management is once again a leader. BEEHIVE at "HEInnovate: Supporting Institutional Change in Higher Education"